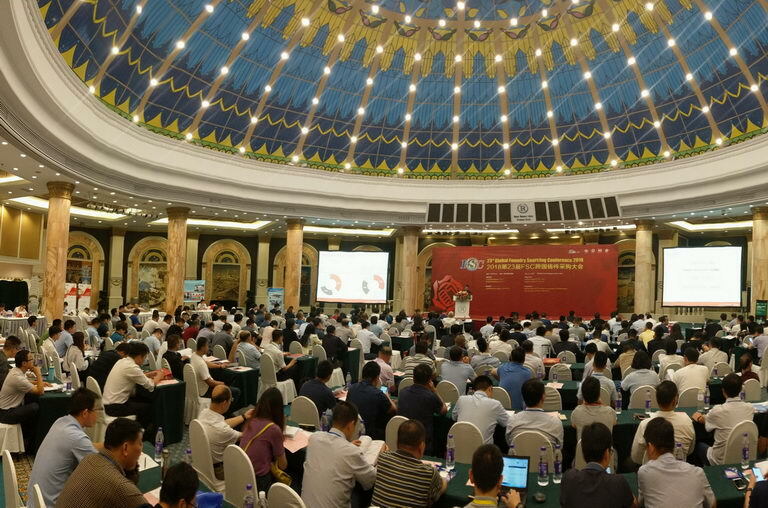 Recently,the 23rd Global Foundry Sourcing Conference 2018 was successfully held in Qingdao Grand Regency Hotel.The conference was organized by Foundry-Suppliers.Com(FSC), Suppliers China Co., Ltd.and co-organized by National Technical Committee 54 on Foundry of Standardization Administration of China(SAC/TC54).With more than 400 representatives from all over the world attendeding this conference. According to understand relevant policies,the foundry industry is listed as a two-high industry, and the key areas were proposed to avoid peak production, specific to the enterprise's production line, processes and equipment.The plan lead to northern companies off production and severely limited production,which made them unable to finish existing orders and afraid to take new orders,so the buyer’s orders began to shift. 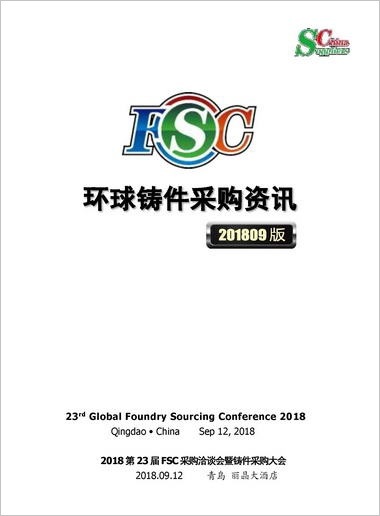 The organizer also introduced that FSC has opened the "policy laws and regulations" sub-column on our official website, helping buyers and suppliers pay attention to the policy documents,publish the policies and regulations in various regions,and providing reference information for foundry enterprises. Visited the booth of Laizhou Huiyuan Machinery Co.,Ltd. 2. Inland mid-and-low-end orders are moving to Southeast Asia,Eastern Europe,South America and other regions. 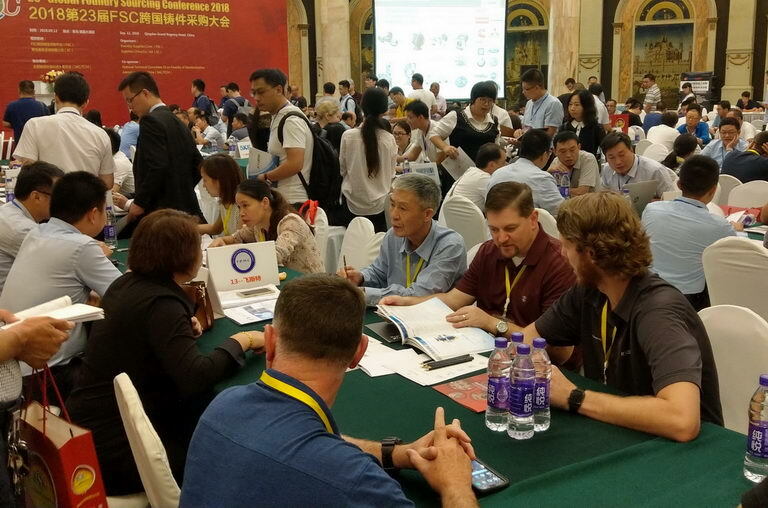 Overseas buyers can’t understand the policies about foundry off production and limited production in China.In addition,recent years, the upgrading of foundry industry and environmental protection management lead to the low quality foundry plant shut down.So low-end casting orders can’t find suitable suppliers,the situation lead to overseas buyers had to transfer low-end orders to Southeast Asia,Eastern Europe,Latin America and other regions,and some mid-end orders also began to transfer slowly to above regions.As can be find from the procurement list issued during this conference,low-end casting procurement projects can hardly be seen. Purchasers visited the auto parts samples of CRRC Changzhou Auto Parts Co., Ltd.
Because of the environmental protection, the production capacity of small and medium-sized inland foundry is reduced,and we can’t see the new strength.Therefore,it is more difficult for overseas buyers to find suitable suppliers for multi-variety, small-batch and discontinuous orders. .At present, the relationship between global buyers and quality foundries changes slightly, and quality foundries occupy a dominant position. 4. Foundry should be worried about that downward trend of casting orders. 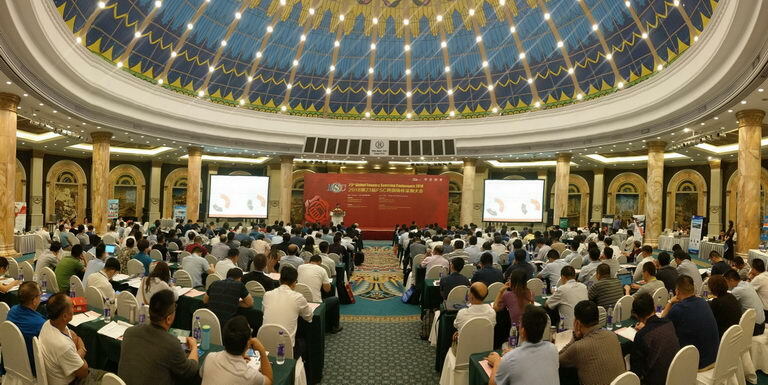 Among purchasers,Mr.Ken Lu from Danfoss Group made a presentation during the conference.He pointed out overseas enterprises face four challenges:environmental policy,overall cost(material,labor,energy,etc),LCC and market trend;And made four suggestions for inland foundry enterprises including:policy compliance,efficiency improvement,tech upgrade and be competitive.Besides,he expressed he is very worried about the downturn in the downstream casting market in the future. 5. We should pay attention to the uncertainty of China and the US trade war. From the Global, we also need to be mind that the uncertain of trade war between China and the United States. Such as, Wind power casting supplier—Jiangsu SINOJIT Wind Energy Technology Co.,Ltd. 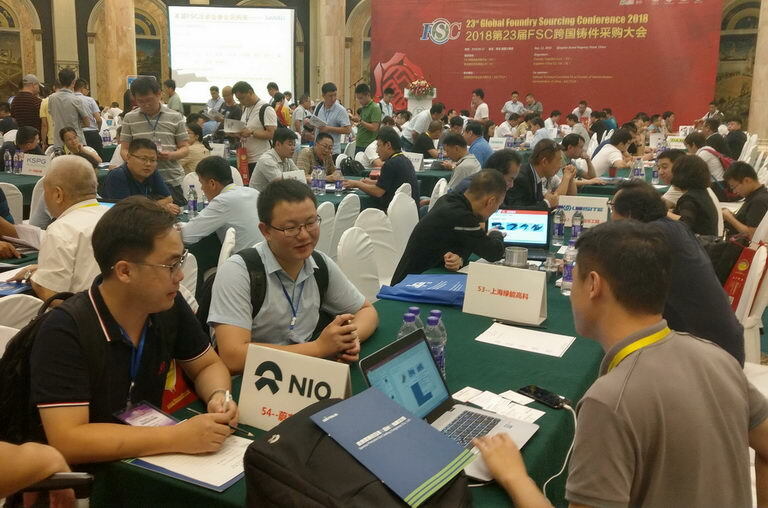 (SINOJIT) indicates on Sept,4th, Tariffs have been increased on some of the castings exported to the United States and the price pressures are expected in the future. 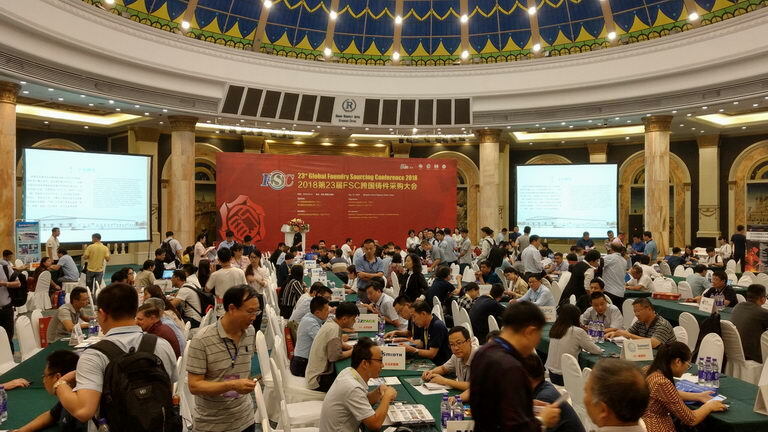 In the meanwhile,FSC noticed that: the list of products to increase the export tax rebate rate issued by the ministry of finance on September 7 includes a large number of casting and industrial parts. Some of the products have been increased from 5% to 9% and 16% since September 15. 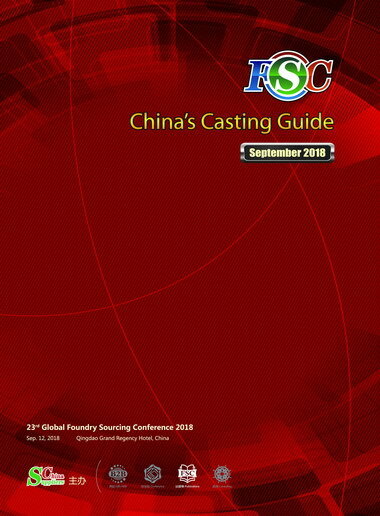 FSC not only has the conference,but also has English and Chinese websites related to casting.FSC will try our best to help global purchasers develop new projects,optimize supply chain and also help suppliers seek new business chance,develop new market, and promote these enterprises.have a heathy development. 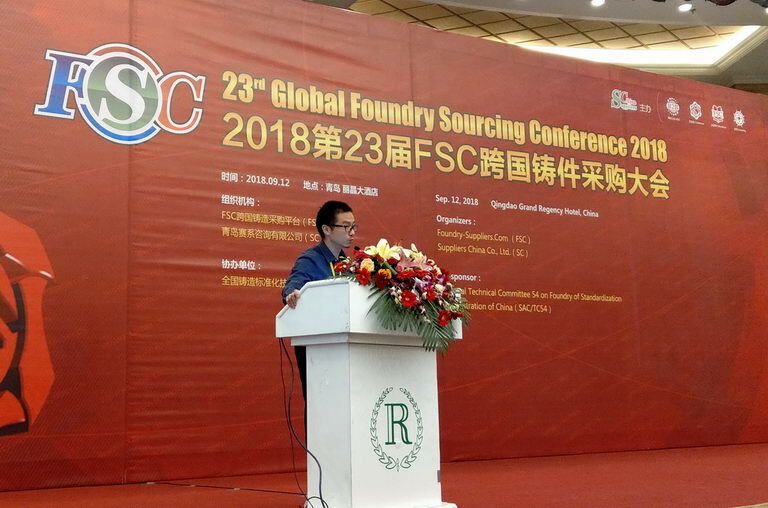 The 24th Global Foundry Sourcing Conference 2019 will be held in Shanghai in April 2019.We sincerely hope new and old friends from all over the world continue to focus on FSC,support FSC,we meet each other next year in Shanghai.